Awards: Trophies given to the top overall male and female finishers as well as male and female masters winners. Also medals for the top three finishers in male and female 5 year increment age group categories from 10 and under all the way to 65 and up. 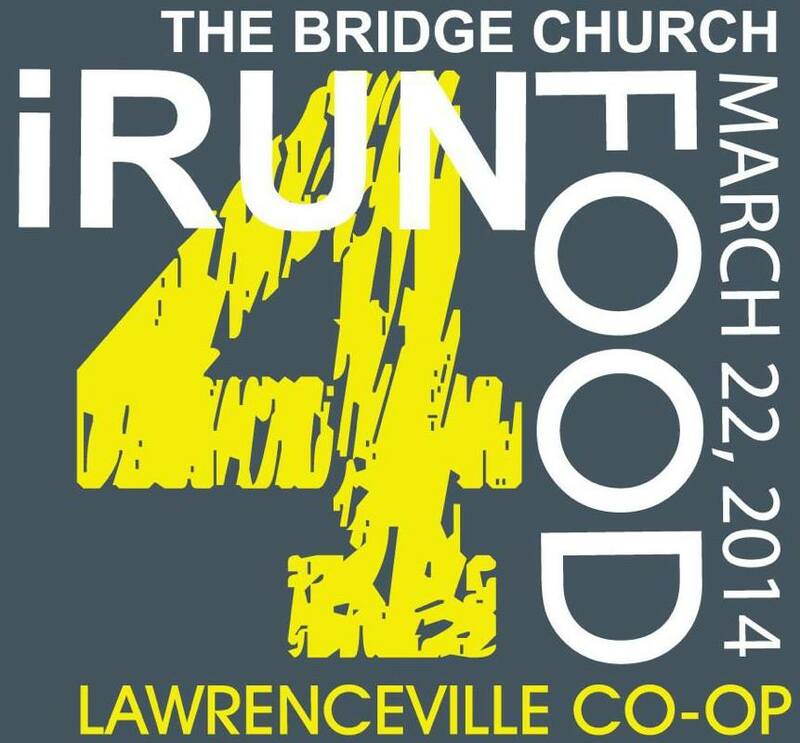 This annual race brought to you by The Bridge Church benefits the Lawrenceville Co-op which assists those in need by providing food, limited emergency financial assistance for utilities and prescription drugs. PLEASE BRING A CANNED FOOD TO DONATE TO THE CO-OP!